Education could be the key driver for India’s road to prosperity and for that the need is to “reorient” the education system, Vice President Venkaiah Naidu has said. Higher educational institutions need to “revamp their methods of teaching, give up a business-as-usual approach and create rigorous academic standards”, Naidu said. “We need to build the right ecosystem for academic excellence to thrive by revamping our education system.”Innovative, futuristic universities will be the drivers of this huge transformation” and “education will be the key driver of India’s transformation to prosperity”, he added. The Vice President was addressing the 7th Convocation and Founder’s Day Ceremony of the O.P. Jindal Global University here, on Tuesday. 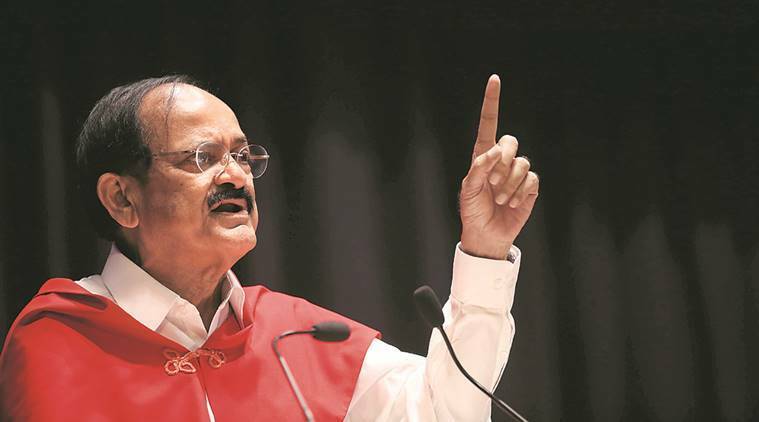 Referring to India’s demographic dividend — 65 per cent Indians below 35 years of age — Naidu emphasised the need to convert this vast human capital into national wealth creators by imparting the right education, knowledge and skills to the youth. He urged for a change in the dismal position of Indian universities in the global rankings by learning from best practices of other universities around the world, which have leapfrogged in a short duration. The Vice President also stressed the need to create a conducive intellectual environment for highly qualified Indians working overseas to come back and work in our universities. At the convocation ceremony, 551 students from different fields such as Law, Business, International Affairs, Liberal Arts and Humanities, and Government and Public Policy, were conferred degrees.